those on maternity or childcare leave, and those on leave from work. our total satisfaction rate has exceeded 99% for each of the previous 20 Conferences. We would love to have you join us on July 18! The Conference is open to anyone who is positive and highly motivated, regardless of occupation, age or nationality. Men are, of course, also welcome to attend. 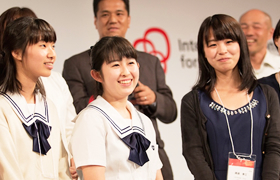 We also provide a Matching Sponsor opportunity; individuals can sponsor the attendance of high school and university students and also victims of the Kumamoto Earthquake. An email confirming registration content will be sent once the registration form has been received. Please read this email carefully as it contains information on how and when registration payment should be made. Registration is complete once payment of fees has been confirmed. 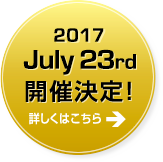 To residents of Japan, we will send your Participation Pass in a postcard with the registration number, after Monday, May 9. To those coming from overseas, we will contact you by email and not send you a postcard. *For those who pay on July 13 or after, we will not send one. Please fax/email us your payment receipt and also bring the receipt to the Conference to enter. Once paid, registration cannot be refunded for any reason. The program and speakers may be subject to change for reasons beyond our control. Please note that, regardless of such changes, registration fees cannot be refunded. Please note that the seated course lunch may not be available to those who register after July 13 (Wednesday). In this case, attendees will be served from a separate lunch menu at designated tables. Registration will close once the maximum number of participants has been reached. 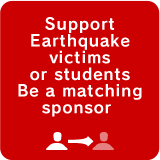 The Matching Sponsor Program is a sponsorship program in which individual attendees provide financial support to highly motivated students and victims of the 2016 Kumamoto Earthquake who want to attend the Conference. This Program was originally established to provide persons from areas affected by the Great East Japan Earthquake in 2011 with the opportunity to attend the Conference. As of this year, sponsorship will be given to high school or university students of either gender from anywhere in the world and victims of the Kumamoto Earthquake. The Matching Sponsor fees shown below include full access to the entire Conference program for the sponsor and one additional person being sponsored. Participants can sponsor as many students as they like. Every year we have a number of professional women and men step forward to provide sponsorship via this program. The Conference Secretariat determines the pairings of the sponsor and the sponsored. The sponsor and the sponsorship recipient are provided with reserved seating next to each other in the main venue. We hope this seating arrangement will enable the sponsor and the student to get to know each other. The sponsor and student are free to select which Interactive Discussions each will attend in the afternoon. A commemorative photo of the sponsors and those sponsored will be taken at the end of the party in the evening. Matching Sponsors will also be invited to a post-Conference event held on another day. This post-Conference event is only open to speakers, partner companies, and Matching Sponsors. A photograph and interview are also being planned on the day of the event. While the interview is mandatory, if you wish to not have your photo taken, please state this on the registration form. This Program was originally established in 2011 to provide persons from areas affected by the Great East Japan Earthquake with the opportunity to attend the Conference. 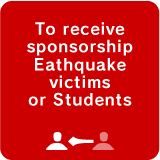 As of 2016, sponsorship has been expanded to high school or university students of either gender from anywhere in the world and victims of the Kumamoto Earthquake. Students with high motivation, who want to attend the Conference but do not have the financial means to do so, should read the following conditions carefully and then apply to be matched with a sponsor. Those selected will be seated next to their sponsor during the morning of the Conference, to personally thank their sponsor and get to know them. As this program is based on support provided by individual Conference participants, please make sure that you are able to attend the event and are able to provide your own transportation to the event prior to submitting an application. No changes at all can be made after your participation has been confirmed. Should you wish to withdraw your application, this must be done so by Monday, May 30. In order to provide the opportunity to attend this Conference to as many students as possible, a recipient can only attend once Conference. Of course, past participants can attend as a paying individual participant every year. Please note that if the number of applicants is higher than the number of sponsored positions, then not all applicants will receive an invitation to attend. Commemorative photographs and photographs of the event will be taken on the day of the Conference and used in various publications. 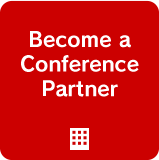 One condition of receiving sponsorship is that an applicant write a pre-Conference and post-Conference essay. Please write a 400-word essay on the application form, describing your reasons for wanting to participate. Please also make yourself available for an interview and photographs at the Conference venue. Your thoughts on the Conference and what you learned from the Conference should be provided in an essay no longer than 800 words by Sunday, July 31. Sponsored students will be registered as members of the “Student Alumni” after the Conference, with attending students being regularly invited to attend student networking events. The Conference Secretariat will select students after going through the essays, location of the student, and academic history. Individual females and males will be providing sponsorships, if available. Our Gold Partner, Mitsubishi Corporation, is sponsoring a table for ten high school students this year. Please note that some of the high school students applying for the Matching Sponsor Program may be allocated to the Mitsubishi Corporation table and not to individual sponsors. Students applying for the Matching Sponsor Program must submit their applications by the following deadline. Matching Sponsor Program Notification: Successful applicants will be notified via email by Friday, June 24. Your sponsorship should be confirmed via return email by Sunday, June 26. As such, please pay close attention to any emails received from the Conference Secretariat after submitting your application. Successful applicants will be notified via email by June 24. Your sponsorship should be confirmed via return email by June 26. As such, please pay close attention to any emails received from the Conference Secretariat after submitting your application. 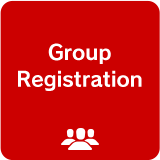 For those who want to pay registration fees for two or more participants at the same time, Group Registration is convenient. Companies who would like to send participants but have not yet selected them can register and pay for a specific number of seats. Please register the name of a representative for the group, contact details, the number of attendees, and the address to where certificates of attendance should be sent. Once payment has been confirmed, registration forms for the appropriate number of attendees will be emailed to the group representative. Each attendee should then be asked to register their own details via this form. As participants must make a selection from the afternoon Interactive Discussions, it is imperative that each participant conduct this part of the registration themselves. To residents of Japan, we will send Participation Passes for the appropriate number of attendees to the group representative in a postcard with the registration number. Please note that once paid, registration fees cannot be refunded, regardless of the reason. 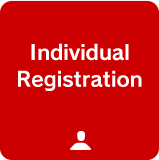 Registration fees paid via Group Registration for each attendee are the same as those paid by individuals through Individual Registration. 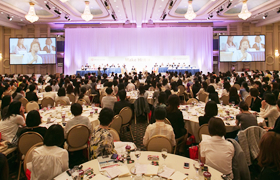 The International Conference for Women in Business is supported by a number of organizations and corporations. Such sponsor companies are provided with a variety of benefits and special partnership programs every year. For further information, please contact the Conference Secretariat.